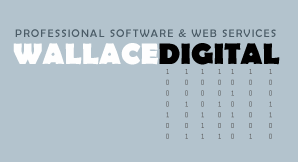 Wallace Digital offers the most reliable dedicated servers and dedicated hosting services available. Configurations can be customized to meet your specific needs. Selecting a dedicated server is an ideal step up from standard web hosting. If safety and performance are vital to your business operations, shared services might be less than ideal for you. With a dedicated server, you know exactly what is installed and running on your server, who is accessing that server and the level of traffic that your server is experiencing. In addition, you know you can rest assured that your server is being maintained by the best technicians available. In addition, application services that might not otherwise be available can be configured to your specifications. We take the guesswork out of installation, maintenance, and server uptime monitoring. Please contact a sales representative to customize a server configuration today.